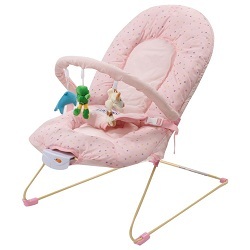 Keep your baby engaged and entertained for hours while you are busy with baby bouncer by Luv Lap. You do everything within your power to make sure that your child is comfortable and happy. They enjoy spending the day in this bouncer and have a jolly time. When it is time to rest, they might not oblige so willingly. The product comes in various attractive colors. The one which is available will be shipped to you. All the products sale on Yapaa are Brand New. We sale branded and genuine products only.